Ghosts from the past have an uncanny habit of turning up in the present with immense potential to blight the future of the most powerful. On November 3, a key witness in the Sohrabuddin Sheikh alleged fake encounter case told a Mumbai court that the 2003 murder of senior BJP leader and former Gujarat minister Haren Pandya was a contract killing executed at the behest of former IPS officer DG Vanzara. The deposition of Azam Khan, an Udaipur-based small-time gangster, before the CBI court has brought to life the most speculated and worst-kept secret of the time—that the murder of Pandya was a political extermination at the behest of some of the most powerful in the land of the Mahatma. Vanzara terms it as yet another conspiracy to defame him. “Azam Khan is a criminal. There are cases against him in Gujarat, Rajasthan and some other states. Even today, he is in jail. Moreover, his evidence is hearsay. It does not account for much under the Indian Evidence Act and is not admissible under law. Moreover, when the CBI recorded his statement, he did not say any such thing.” Khan, though, had said during further cross-examination that he had told the CBI officer, NS Raju, about the contract killing, but it was not taken on record on the pretext of not creating new complications. The revelation about Pandya’s killing surfaced in the course of proceedings in the Sohrabuddin alleged fake encounter case of 2005, in which Vanzara was an accused along with then minister of state for home Amit Shah, and IPS officers Rajkumar Pandiyan and Dinesh MN. They have all been discharged from the case along with other police officers such as NK Amin and Vipul Aggarwal, to name a few. According to one count, 90 of the total witnesses examined in the case so far have turned hostile. In short, the big guns are free, while lower rank officers and constabulary are facing the music. Though fake encounters by cops have taken place earlier, these acquired a pattern during Narendra Modi’s stint as Gujarat chief minister. These encounters included those of Sadiq Jamal (2003), Ishrat Jahan and two others (2004), Sohrabuddin and his wife, Kauser Bi (2005) and Tulsiram Prajapati (2006). Almost all of them were labelled as handles of Pakistani terror agencies who were out to get the CM. Most of the time, the senior cops unravelling these conspiracies were led by Vanzara. Interestingly, 32 police officers, including six IPS officers, were incarcerated in connection with a series of police encounters in Gujarat. According to a published report, during an interrogation by a CBI team of Vanzara led by DIG Sandeep Tamagde in Sabarmati jail in September 2013, he had hinted at a political conspiracy behind Pandya’s killing. He also reportedly spoke of Sohrabuddin’s role in Pandya’s murder in March 2003. His interrogation took place after he had written an explosive letter resigning from the IPS in which he reportedly blamed Shah for the encounters. 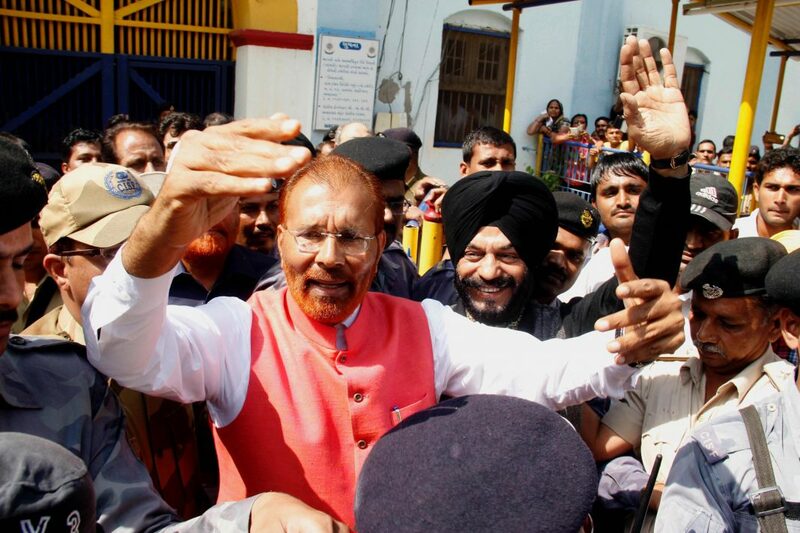 What transpired within the CBI after Vanzara’s interrogation is not known, but the fact remains that Azam Khan’s revelation echoes what the accused IPS officer had hinted at in 2013—that Pandya’s killing was politically orchestrated. Haren’s father, Vithal Pandya, also termed his son’s death a political conspiracy orchestrated by Vanzara at the behest of the then chief minister. The octogenarian, who passed away in January 2011, went down fighting. He did not agree with the CBI’s line of investigation and was livid with then Union home minister LK Advani for blaming the ISI and underworld don Dawood Ibrahim days before the CBI took over the probe. “It was Advani who set the line of investigation for CBI and de­railed the probe,” Vithal reportedly said. He added that his constituency, Ellis Bridge in Ahmedabad, had remained peaceful even during the 2002 riots that followed the Godhra train carnage. Haren was a rising star in the BJP in Gujarat and was immensely popular within the party. He held the home portfolio in the Keshubhai Patel government and revenue in the first Modi government. The first point of friction between the two was Modi’s choice of Pandya’s Ellis Bridge seat to enter the Vidhan Sabha and Pandya’s refusal to oblige. Modi was subsequently elected to the assembly from Rajkot on a seat vacated by Vajubhai Vala, the present governor of Karnataka. In the immediate aftermath of the Godhra train carnage, Pandya is reported to have opposed bringing the burnt bodies of the passengers by road from Godhra to Ahmedabad at a cabinet meeting. He said it would further ignite communal passion, but he was shouted down. What followed is history. Though kept confidential, it is known that Pandya had testified before the Concerned Citizens Tribunal on the 2002 Gujarat riots. It comprised three retired judicial luminaries. That Pandya was a marked man thereafter was known. He had also expressed fears of his likely liquidation to chosen contacts in the media as well. Vithal never tired of pointing to the political conspiracy that led to his son’s killing. He did not even agree with the POTA court judgment on June 25, 2007, that sentenced nine people to life imprisonment for the murder of Haren. If he had been alive, the old man would have felt vindicated on August 29, 2011, when the Gujarat High Court reversed the lower court’s order which did not consider scientific evidence presented in the injuries, forensic and ballistic reports. It criticised the CBI for a “botched” and “blinkered” investigation and said that the investigating officers “ought to be held accountable for their ineptitude, resulting in injustice, harassment of many people concerned, enormous waste of public resources and public time of court”. It is against this backdrop that one needs to view Azam Khan’s testimony purely in relation to the Haren Pandya case even though it links the fake encounters with it, particularly the Sohrabuddin and Prajapati cases. According to Azam’s testimony, “during a discussion with Sohrabuddin, he told me he along with Naeem Khan and Shahid Rampuri got the contract to kill Haren Pandya and they killed him. I felt sad and I told Sohrabuddin that they have killed a good person. Sohrabuddin told me that the contract to him was given by Vanzara.” Khan also testified in court that Sohrabuddin had told him that this work had come from above (upar se yeh kaam diya gaya hai). Haren’s body was found in his Maruti-800, riddled with seven bullets with the windows rolled up except for the driver’s side. There was no blood in the car except for a solitary blood drop on the adjoining seat. One doesn’t need an expert to tell that he had possibly been abducted, killed elsewhere and the body put back in the car, which was parked at the venue of his morning walk. Investigating agencies, the Gujarat Police initially and the CBI soon after, seemed more intent on covering up than exposing the real killers. The last has not been heard in the matter, though the fate of Haren Pandya and many other encounters have inextricably got linked to a political see-saw.